As co-founder of Beretta Farms, Cynthia loves creating delicious recipes from unexpected combinations. Opposites always attract when it comes to flavour pairings – salty pretzels with sweet, sticky caramel drizzle, chewy chocolate chip cookies with a surprise potato chip crunch, french fries dipped in a creamy milkshake, and soon to be favourite, bacon and cheesecake (let’s be real, bacon and anything is divine). Bacon and cheesecake are both great on their own, but together they are the perfect marriage of salty and sweet. The unique flavour combination is sure to be a crowdpleaser. 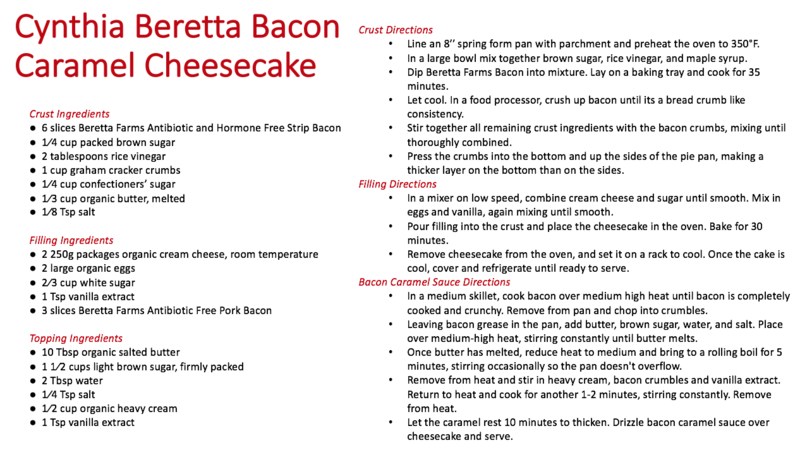 Grab the kids and enlist them in helping you create some family memories while you make Cynthia’s Bacon Caramel Cheesecake recipe. Since you’ll have made it together you can feel good about serving it to your loved ones as Beretta Farms is committed to raising proteins organically without the use of antibiotics or added hormones and steroids. Take a peek below to see how easy it is for you and your loved ones to make this yummy treat to help bring you out of the Monday blues. We’re sure you won’t want to share, but if you do, we’ll be here waiting! 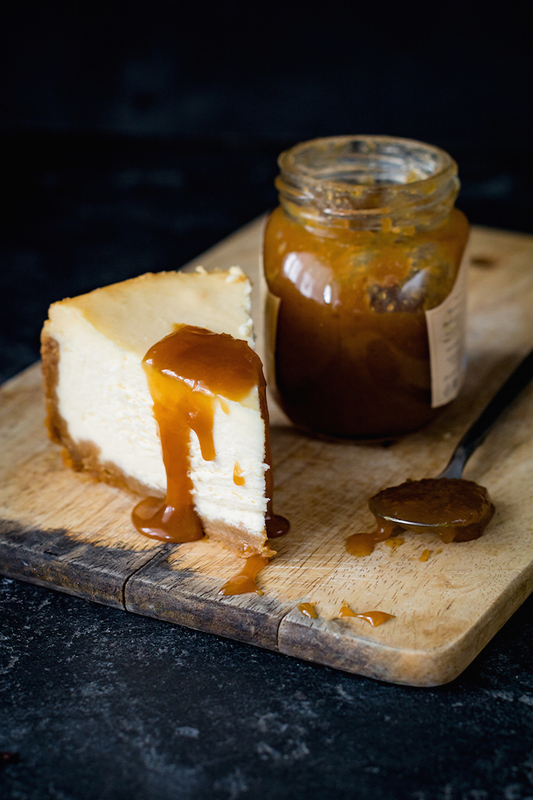 Make sure you comment below and let us know if treated yourself or the family to some of this delicious cheesecake!